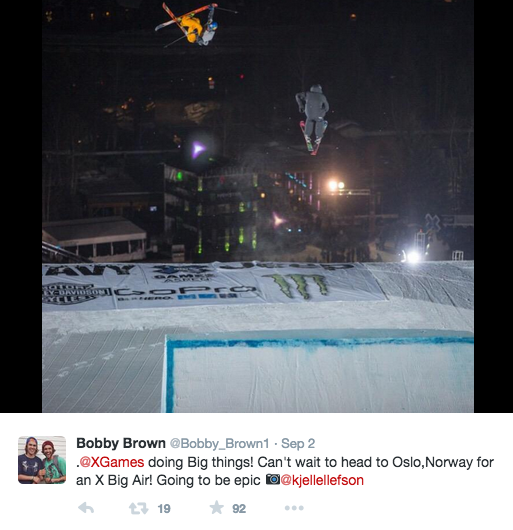 Oslo X Games dropping in three..two…NOW. Screenshot from X Games Twitter page. Four years after uprooting from Tignes, France, the X Games is headed back across the pond, bringing the best in skiing and snowboarding to Norway’s capital city in February of 2016. In addition to Ski and Snowboard Big Air and Ski and Snowboard Superpipe, X Games Oslo will also feature Skateboard Street, making it the first X Games ever to combine winter and summer disciplines. “We look forward to showcasing some of the world’s best athletes in one of the most unique and dynamic cities with a rich history in winter sports and impressive list of top homegrown athletes,” X Games Vice President Tim Reed told ESPN.com. ESPN, Norway’s major media outlet TV2, and the city of Oslo have been working for the better part of a year to bring the popular action sports competition to Scandinavia for the first time. Norway, Sweden, and Finland have long been strong competitors at X, and now from February 24-28, they will have a chance to top the podium on their home turf. Norway is home to some of the decade’s most decorated freeskiers, including former X Games gold medalists Andreas Håtveit and Tiril Sjåstad Christiansen, as well as big air specialist PK Hunder (of the 22 invited athletes thus far, Sjåstad Christiansen is the only Norwegian ski representative, but more homegrown talent is expected to be added as the competition nears). Aside from Sjåstad Christiansen, X mainstays like Bobby Brown, David Wise, and Kevin Rolland were also on the initial athlete roster. 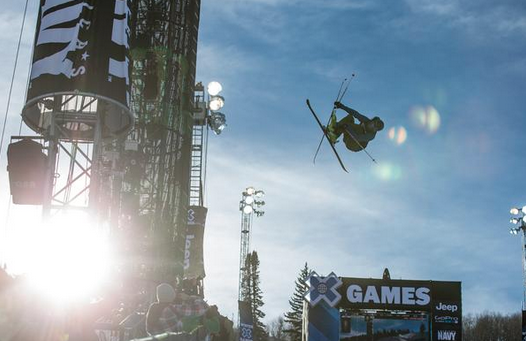 X Games Oslo is a hybrid event featuring a streamlined approach to competitions across the winter and summer disciplines. The events are broadcast and fan-friendly, making them an ideal showcase for X Games’ return to Europe and the inaugural Oslo competition. Skateboarding street kicks off action on February 25, followed by Snowboard Superpipe on February 26, ski and snowboard Big Air on February 27, and Ski Superpipe on February 28.